In the world of the gun there are two types of responses to a life threatening event. The first and most popular is the conditioned response. A few examples of conditioned responses would be stand and deliver, the controlled pair, and to always make use of your sights. These are responses that we train into ourselves with the hope that when we are called upon, we will default to our training and this programming will save the day. While I was learning the Modern Techniques, (MT) I constantly questioned the logic behind many of the conditioned responses. To me, there was very little common sense attached to these conditioned responses. Even as a newbie I knew that I would never fight in this manner. It went away from the reality of all of my past experiences. As I trained and trained in the MT, I always held on to the realization the MT was just going to be a foundation, a foundation that I could build my fighting style on top of. As I progressed, I began to incorporate what I thought a common sense fighting style would entail. I began to seek out people who thought as I did. My observations were confirmed again and again by highly respected “been there done that” guys. They would write posts of their real world experience that coincided with my experiences, thoughts, and observations. As my suspicions were verified, my training progressed into an area that relatively few people have explored. I began to embrace the second type of response, the concept of natural human response. As I participated in and witnessed FOF encounters inside of my training , it became very clear that the vast majority of the people who trained on a regular basis, cast aside their training when the action was fast and close. They would default to their natural human response. They solved problems at a sub-conscious level. I witnessed many people doing things that they had never been trained to do. After the encounter I would talk to them about their response. Many of these students actually did not know what they had done to solve the problem. As I informed them what they had done, they would often look at me in disbelief that they reacted in that manner. This furthered my interest in the subject, which lead me to my next level of enlightenment. I call this level fluid situational response. The concept is that you can incorporate your natural human response and your conditioned response and use them fluidly in the appropriate situation all along the fight continuum. I know some of you will say that this does not stay within the KISS (keep it simple stupid) principle, or that it does not conform to Hicks law (the more options you have, the longer it will take to access an option). IMHO this is just not so. Hicks law may apply to conditioned responses, that is why you should have a mastery of a number of essential techniques. Hicks law does not apply to natural human response. There is no lag time to access these responses. Your body will choose the solution to the problem in a microsecond at a subconscious level. Accepting this to be fact opens up a world that relatively few have explored. My training is now geared to my fluid situational response. The response is dictated by time, distance, and where you find yourself in the reactionary curve. The position on the reactionary curve is the most important factor to your response. This is where natural human response of “fight or flight” takes over. IMHO you should embrace the “fight or flight” response and train within that response. 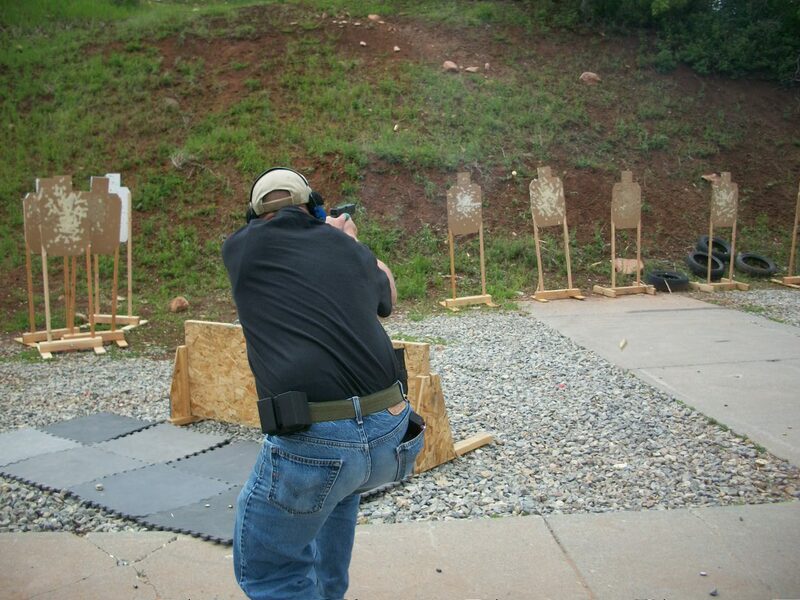 One thing to keep in mind, when it comes to firearms “fight or flight” is also “fight and flight.” The direction you move, the speed of your movement, the necessary visual input to maneuver and to comprehend the problem, the necessary visual input needed to make the hits, and the necessary visual input to recognize the situational changes in your position in the OODA loop, are all dependent on your position in the reactionary curve. 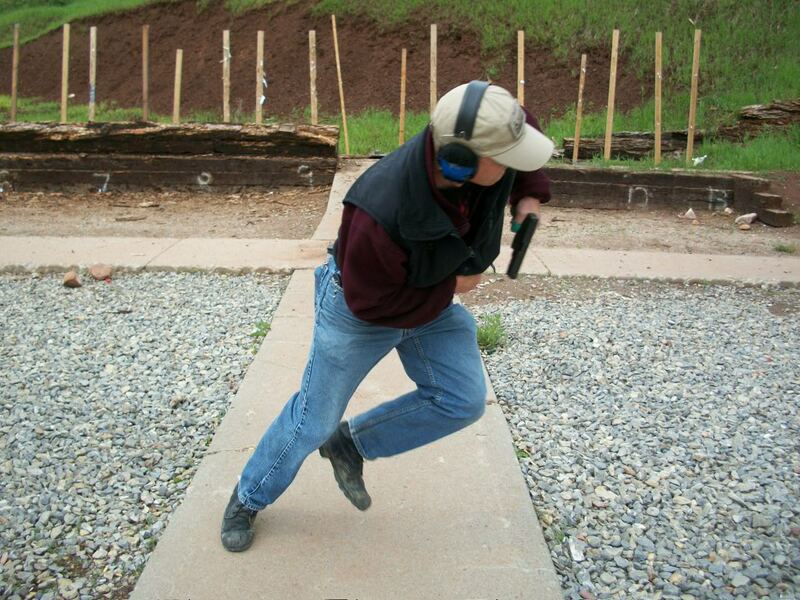 There is no doubt that at certain distances, going hands on before you access your handgun is the very best response. But for now, let’s take a look at responses that are outside of hand to hand ranges. If you have succeeded in being ahead in the reactionary curve due to awareness, deception, distraction, or metsubushi (throw something in the face of your adversary) you are in a dominant position. Conditioned responses are excellent for this situation. Stand and deliver, sighted fire, aggressively advancing to your 12:00 are all appropriate responses. If you find yourself even in the reactionary curve, your response will have to be different. Conditioned responses may not get the job done as well as natural human response. The fight and flight response will kick in and you will want to get out of the kill zone. Move as you draw, put hits on the adversary as soon as you can using point shooting skills, work towards getting inside of the adversaries OODA loop by your movement, ballistic effect, and acquiring his flank. Once you have turned the OODA loop in your favor, embrace your fluid situational response and shift from a reactionary position to the dominant position and eliminate the threat. If you find yourself well behind the reactionary curve, your response will have to change even more. A conditioned response could be suicide, your best hope is a natural human response. A surprised response can be use to your advantage and you must train to be comfortable within your surprised response. Flight may override fight, because you must survive the initial contact so that you can get into the fight. Explode out of the kill zone while drawing your weapon, move to cover if near, put hits on the adversary using point shooting skills, look to turn the tide, and if the situation changes flow into the next appropriate response. Once you embrace your fluid situational response you will go places that you never thought were possible, where your mind is the weapon and your body and gun are simply tools that are just an extension of your mind, where everything flows with no conscious thought. The inevitable question arises, “what is more important, to get the hits or to not get hit?” The fluid situational response helps answer that question. When you are ahead of the reactionary curve, it is more important to get the hits. You are in the dominate position….ELIMINATE THE THREAT! If you are even in the reactionary curve and at equal initiative, the importance is equal. Use a balance of speed (of movement) and accuracy to solve the problem. If you are behind in the reactionary curve it is more important to not get hit. 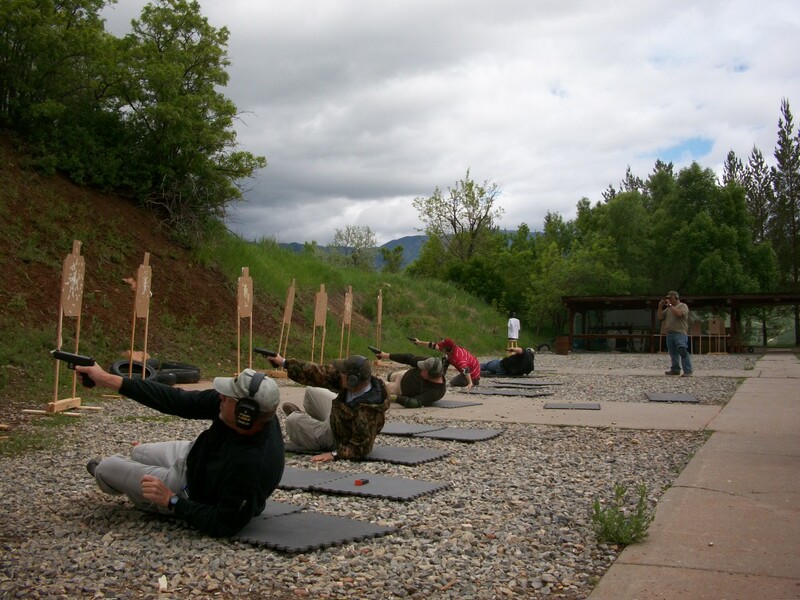 Get out of the kill zone by “thinking move first.” Sprint to cover if it is near or access your handgun on the sprint and put hits on your adversary. Always look to get inside of the adversaries OODA loop and progress through your fluid situational response until you are either dominating the confrontation or have put yourself in the position to terminate the confrontation.